Eoin Hand's term as manager of the Republic of Ireland soccer team is often overshadowed by the glory days of Jack Charlton. If Charlton had good luck, Hand was all too familiar with its quarrelsome sibling: bad luck. 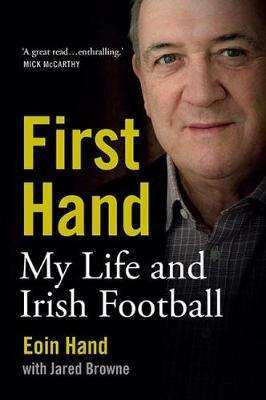 This is the inside story of his time in football, from his start with Swindon Town at eighteen, through playing for Portsmouth and Ireland, to managing the Irish team. With one of Ireland's greatest generations of players, such as Liam Brady, Ronnie Whelan and Frank Stapleton, the luck of the draw repeatedly pitched Hand against elite teams. His tenure came to an end when Ireland failed to qualify for the 1986 World Cup. Despite having come closest at that time to qualifying, he endured intense criticism from the press. Eamon Dunphy, who grew up close to him and played alongside him for Ireland, mounted a campaign of fierce abuse. Hand responds for the first time, revealing significant unknown facts about Dunphy. Along with anecdotes about top players and managers, he exposes the inner workings of the FAI and assesses its stewardship of Irish football. Chronicling his time abroad, from England to Saudi Arabia, he reveals how his life was threatened in apartheid South Africa. With unflinching honesty and bracing humour, he also lays bare the personal issues that led to heavy drinking and almost dying of acute pancreatitis. That he managed to pull through at all is testament to the resilience with which this provocative memoir crackles.